Situated in the Southeast Asian region, Vietnam is considered to be amongst the top destinations for the purpose of tourism and exploration. A massive number of visitors tour the country in search of leisure and relaxation on the top beaches and recreational spots of the country. 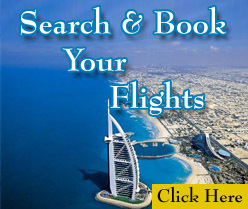 Alone in the year 2012, the country witnessed the visit of approximately 6.8 million tourists from all around the globe. The administration is also investing a fair bit in the tourism industry of the country and a long-term plan has been adopted to increase the amount of tourism in Vietnam. The country has a diverse amount of tourist attractions to choose from. The National Parks of Vietnam offer the visitors with an amazing Wildlife exposure. The country has over 31 National Parks out of which the Phong Nhake Bang National Park is the most popular. Furthermore, the country has a number of World Heritage sites that are considered to be quite inspirational. The Capital of the country is Hanoi, the city provides the visitors with an extreme and adventurous Jubilancy. Moreover, the National tourist areas in the country are over the number of twenty-one. The country is also famous for the amazing and tremendous Bio-sphere reserves. The most popular Bio-sphere reserves in the country are the Red River Delta, Cu Lao Cham Marine Park, and Cat Tien National Park. We at TravelWideFlights are providing our clients with Cheap flight tickets to Vietnem. 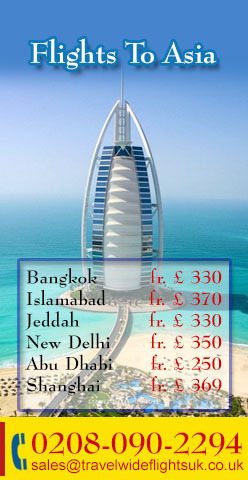 Our team is specialized in providing guidance on the travel plans of our clients from the United Kingdom. We can also provide bookings and accommodations in the most luxurious resorts in the country. The clients can travel with the most popular Airlines of the world including Turkish Airlines, Air France, Emirates Airline, Malaysian Airlines, Thai Airways, and Etihad Airways. Contact us for further details.